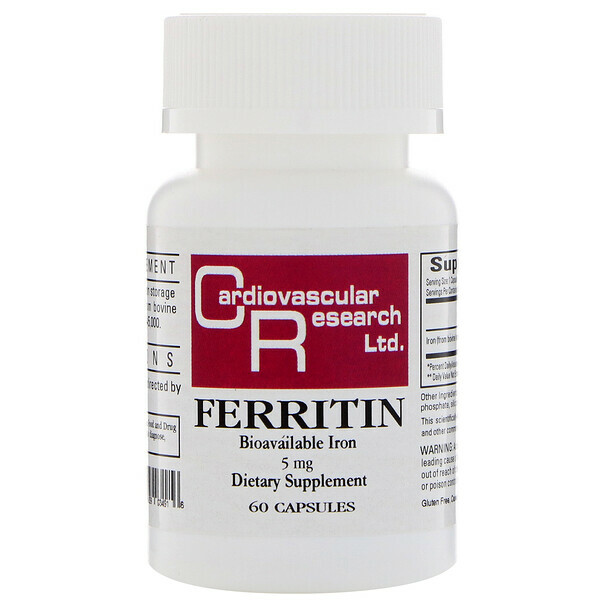 From Ferritin - the major iron storage protein, naturally isolated from bovine spleen. Molecular weight: 445,000. Take one capsule daily, or as directed by a physician. 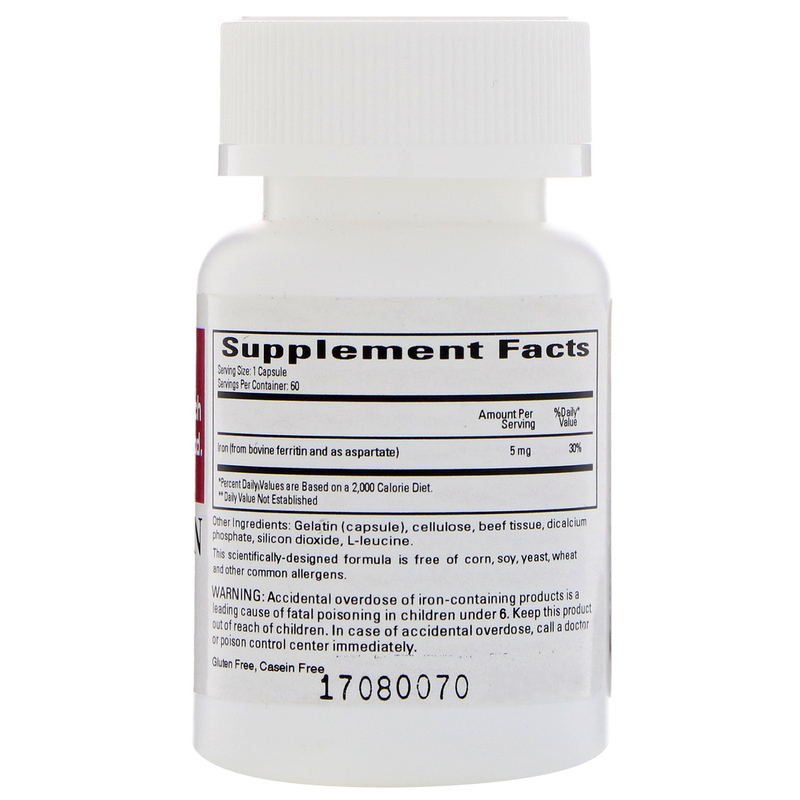 Gelatin (capsule), cellulose, beef tissue, dicalcium phosphate, silicon dioxide, l-leucine. 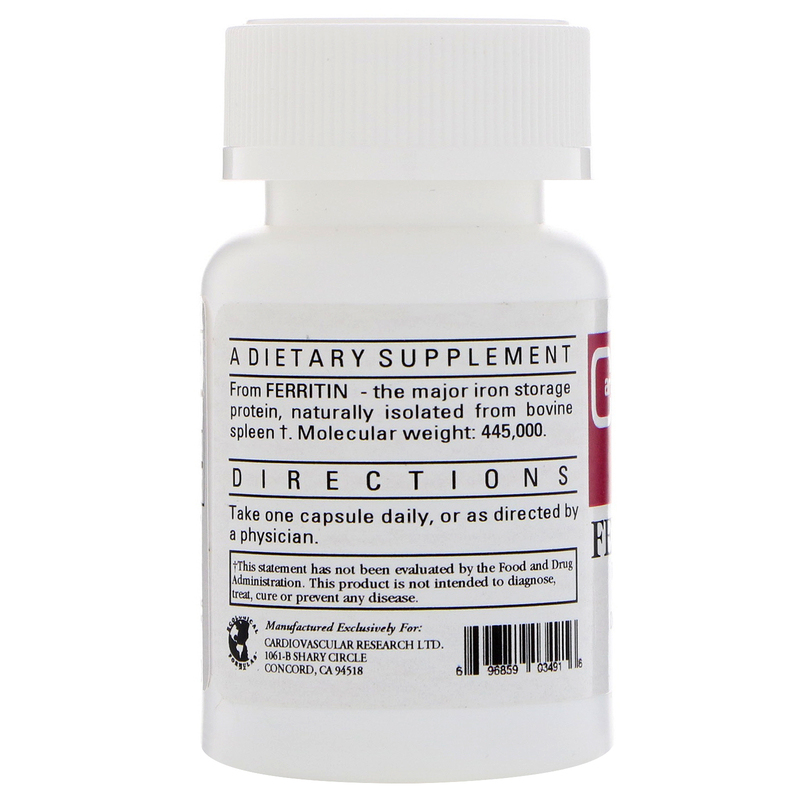 This scientifically-designed formula is free of corn, soy, yeast, wheat and other common allergens.